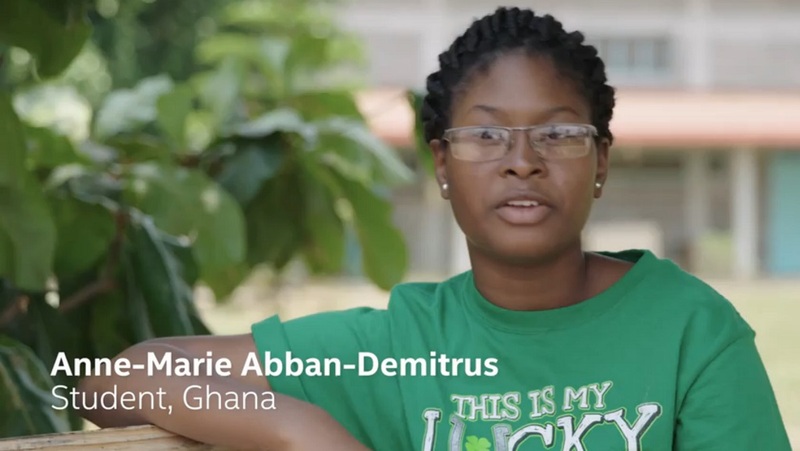 10 Ghanaian students were selected to take part in the WiSci STEAM Camp 2015 in Rwanda and Anne Marie Abban Demitrus shares her experience about the event. Women in Science (WiSci) STEAM (Science, Technology, Engineering and Mathematics), WiSci STEAM Camp is an event organized by the U.S. Department of State, Microsoft 4Afrika, Intel, AOL Charitable Foundation, the United Nations Foundation’s Girl Up campaign, and the Rwanda Girls Initiative, with support from Meridian International Center, the Rwandan Ministry of Education, the African Leadership Academy, and the Global Entrepreneurship Network. The WiSci camp is part of the Let Girls Learn initiative, launched by the White House to open the doors of education for girls around the world. The STEAM camp (STEM + Art & Design) was established to tackle the gender imbalance in the fields of science, technology, engineering and mathematics (STEM) globally. Me? Science camp? Me? Wow! I smiled to myself. These were the very thoughts that ran through my head when I was informed that I would be attending the first ever Wisci STEAM camp for girls in Rwanda, with several sponsors including Girl up, Intel and Microsoft. You see, I am… no sorry, was, an art inclined student. I loved everything that had at least a shred of the concept of self-expression. I mean I would be in a literature class and babble about how the writer of a particular poem felt isolated and empty inside and yearned to find a connection with the outside world to remedy his deep heartfelt anguish, when the line simply read, ‘I stared into the distance.’ That was my life. I was on top of my art class, loved English and couldn’t bear to part with French orals. Three weeks changed all of that. ‘Oh my goodness. We’re here! We’re finally here!’ screamed the ever hyper Isabelle Quaye. ‘Isabelle shut up!’ came the tired replies of all the rest of the Ghanaians who tumbled out of the Kenya Airways aircraft on to the tarmac. Fatigued as we were one fact was undeniable, we were all secretly thrilled but somewhat skeptical to be here. When we finished the whole procedure and got to baggage claim, I suddenly straightened up and quickly brushed down my jeans. There was MAN CANDY in the house!! An extremely gorgeous Middle Eastern guy had joined the queue. Then (as expected!) a squabble broke out. We girls started arguing over who was going to be the future wife of Mr. Smoking Hot. Ten girls fighting over one guy who did not even look at us twice. Then something hit me- we were not going to see any boys for the next three weeks! Lord help us. The first week was the Microsoft week. I honestly wasn’t looking forward to it. I half expected to walk into the class and see written on the board: INTRODUCTION TO MICROSOFT EXCEL… or something of that sort. Instead, I met this young bashful female trainer with a very cheery look who welcomed us with, ‘hey girls are you excited to learn about KODU?’ Momentary Pause. Rewind. Play. Err… k-ko-what? A gaming application it was, designed to allow the user to create either an animation or a game or even both depending on the user’s preference which excluded the intricate complications of actual game coding. And so my fellow readers, we spent the next five days drowning in the need to understand a whole gaming application full of commands and ,’when KODU sees apple, DO, EAT’. The classes were fun and quite stressful, no lie about that, but that was when I actually began to see myself doing things like this. I didn’t notice it at first but after the frustrations of the frozen computers, and crashing applications, I realized that I did experience joy during those five days. Was my perception changing? Could I develop a love for the sciences? Then there was the Intel week. Our trainer informed us that we would be working with C++. Ah, I said to myself, this is a programming langu… My smile dropped. I knew next to nothing about programming languages! I told myself the week was going to be hard. As it turned out, the week was actually the best for me. I enjoyed working with programmable boards, drawing up codes for sensors and LED lights and arguing about codes written. My trainer even said smiling,’You will definitely be a software engineer!’ and to crown it all, the project my team developed, won the best prize for Technical Rigor. That was when my perspective totally changed. I have since developed a keen interest in the sciences and opened up to the limitless opportunities available. I thought I wanted to be a lawyer, but now I think I’ll try my hands on computer engineering first. Even with the several countries represented, I think I got first hand insight into how technology works in the various countries. I didn’t even know that in Rwanda there is a portable device which checks your blood pressure level as well as your cholesterol level. HA! Bet you didn’t even know either! I was able to understand that even in developing technologies, you also have to consider the culture of the society you are developing for, because just maybe you might create something you think is the ultimate solution but when implemented, might just pose as another problem for the citizens and indigenes. I mean how insightful is that? Moving on… Did you know that in terms of leadership qualities, I am a lion? Yes. I am. I like to be in total control of things and of course, I exude confidence. This I found out during a leadership workshop at camp. I will never forget the time when I was put into a group with fellow lions. We were then given a very simple task and asked to execute it. Oh but we argued like professional attorneys. I for one was the main participant. I then learnt that it’s just how you go about things that make a difference with the work relationship you form with people. This eye-opening advantage is one I wish that every girl in the world should be given. If I hadn’t gone for this camp, I would have missed out on the strong bonds formed, the laughter, the knowledge shared, the tears when camp ended and finally, these very dear memories I will forever hold and cherish.